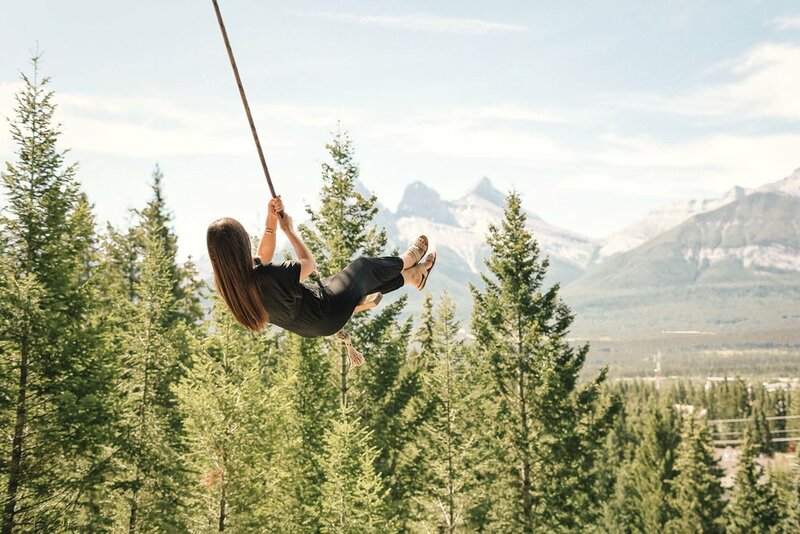 Ever since posting this Instagram picture from the Canmore rope swing I've been getting an overwhelming number of DMs asking me for info on how to get here. If you too are looking for directions, look no further! Here's how to get there along with some other tips I think you should know prior to visiting. The best part about this swing in my opinion is that it is incredibly easy to get to. Once you arrive at the location, it's just a five minute walk up to the swing. So easy that we actually went multiple times while in Banff! 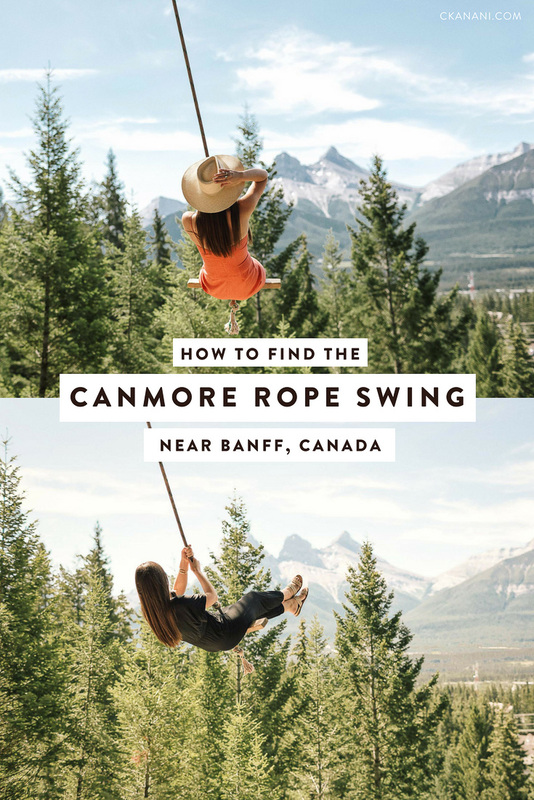 To get to the Canmore rope swing, the first thing you want to do is navigate to Ridge Road in Canmore. When you see a playground located near where the red marker is on the map above, park. To the right of the playground you'll find a trail leading you up the hill. It's a distinct trail - you don't need to scale up the mountain like we almost did thinking that was "the trail". 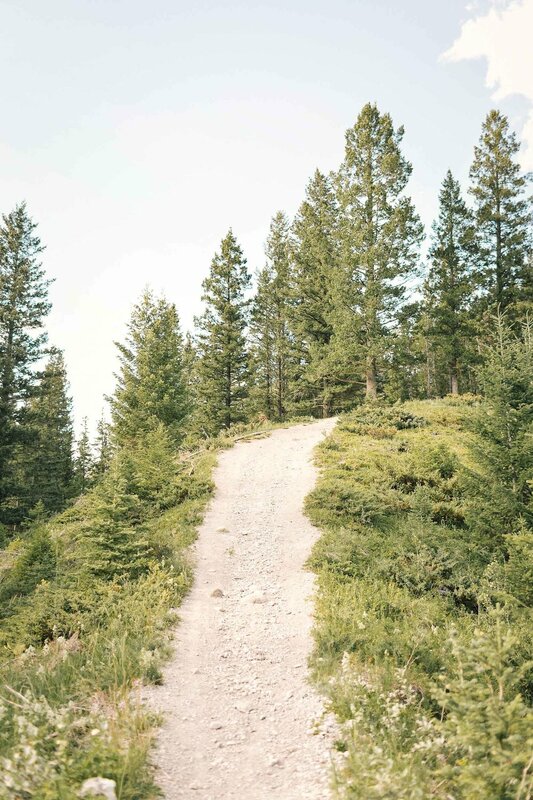 The trail looks like what you see in the above photos. 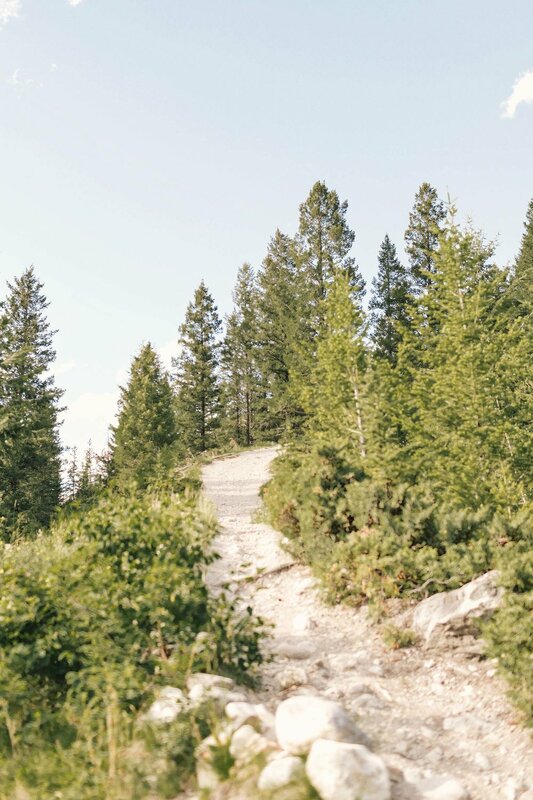 When you get to the hop of the hill, the trail will give you two options: left or right. Head right. From here you will walk only ~3 more minutes before arriving at the swing! The trail up the hill is made of loose rocks so it is probably best to wear shoes with some kind of traction. I wore slides that are totally flat and very slick on the bottom and somehow still made it, but it would've been much easier (and quicker) with better shoes. You certainly don't need to wear hiking gear (again, it's just a quick five minute walk) though. If possible, bring two friends with you. One to take the photos, of course, and another to push you! The view to the left is much better than to the right, in my opinion. The first time we went there was a long (but quick) line and everyone was taking photos shooting to the right so in a rush we did the same. When we looked at the photos after I kept thinking they didn't look very cool and realized it's because the view to the left is much prettier. There are more trees and the backdrop is the famous Three Sisters mountains. If you plan to take photos, have your photographer stand to the right of the tree and shoot left! Of all the places to stay in Banff, I very highly recommend staying at the Fairmont Banff Springs. It is centrally located, has many delicious on-site dining options, and is literally a castle. It’s worth every penny and more! For more information on my experience staying at the Fairmont Banff Springs, click here. Click here to see the latest prices and to book your stay. If you liked this post, don’t miss my other Banff blog posts!